1. Comprehensive Financial Planning vs. just Investment Advice. 2. Clarity to your family goals with a personalized Financial Roadmap. 3. Work with a Qualified Financial Professional, an Investment Advisor Representative or a Certified Financial Planner professional without large account minimums. 4. Confidence to help you make well-informed choices today with a detailed customized Financial Independence Plan™ which coordinates your financial, tax, insurance and legal plans (in coordination with your tax/legal professionals). 5. Access to view all your accounts and the performance at one online location. 6. Capability to make educated choices tomorrow with access to your comprehensive Financial Independence Planning Team, including investment, insurance, tax and legal professionals (in coordination with your tax/legal professionals). 7. Pre-approval is required from our clients before investment changes are made. 8. Scheduled Quarterly FIP Check-up Calls™ to check up if you’re on track and to make adjustments as needed. 9. Scheduled FIP Annual Update Meeting to update your Financial Roadmap and your Financial Independent Plan™ and to review changes in your goals, investments and taxes and to make the necessary adjustments. 10. Quarterly FIP educational seminars on investment, tax, legal and insurance updates. 11. FIP’s Vision, Mission & Process has been carefully reviewed and refined over twenty years. 12. 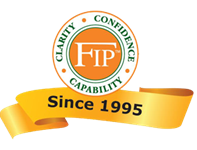 FIP’s 8 Step Process is completely documented and followed by qualified and trained FIP Advisors. 13. FIP’s Investment Committee has met routinely for over five (5) years to develop and monitor our “Happy Models” ™ based on allocation (Risk) and performance (Return) objectives. 14. FIP’s Advisory Board of ideal FIP clients has met semi-annually for over four years to help improve FIP’s client experiences. 15. FIP’s full time client services staff is dedicated to continuous and professional service. 4. All other account service changes are timely and accurately handled. FIP mission is to help our clients become financially independent by helping them to make educated financial choices. FIP’s objective for our clients is that they have a sound financial plan so they can free themselves from worrying about money to enjoy all the things in life that are most important to them. Please contact us for an initial complimentary financial check-up.